Much like Hollywood movies, comics often have big blockbuster events designed to pique the interest of fans and force them to open their wallets wider than usual. These stories often boast about “Shocking revelations!” and claim that “Nothing will ever be the same after this!” Sometimes they’ll even throw in the death of a fan-favorite character in order to get fans clamoring. These big event stories, which can be a single comic or stretch across several books in a company's universe, are often more about the sizzle than the steak, but on occasion they give us truly classic comics. Done right, they're capable of turning the fortunes and perception of a company and impacting storylines for years to come. This Wednesday, Marvel Comics kicks off its newest blockbuster comic event Fear Itself, which tells the story of a resurfaced God of Fear that wreaks havoc upon the superhero world. 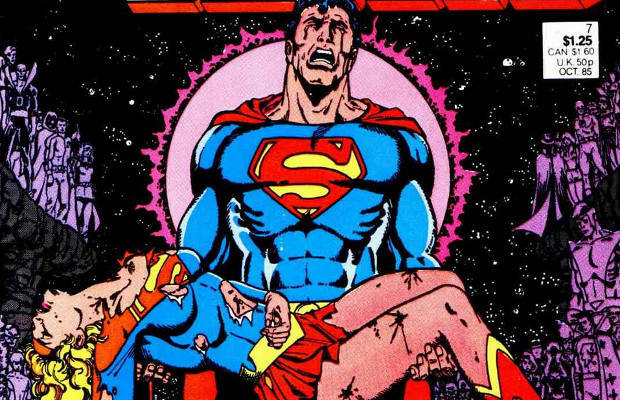 In honor of what looks like an awesome happening (seriously, just look at Marvel's Fear Itself trailer), we’re here to countdown the 10 Most Earth Shattering Comic Events of All Time!